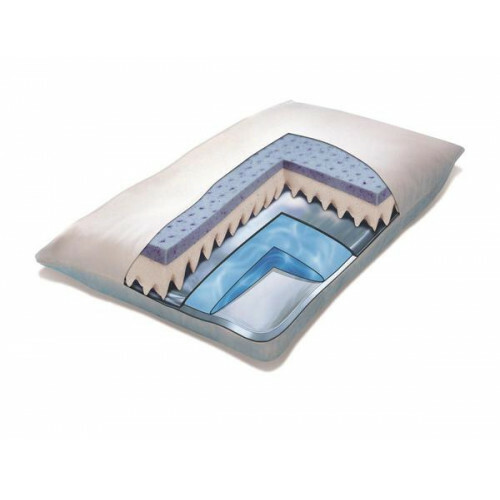 The new Mediflow® Memory Gel Foam waterbase® pillow outperforms regular memory foam pillows because it is softer, cooler, and fully adjustable. The extra soft top layer of the foam cushion is cool gel infused and then ventilated to allow air to circulate completely through the foam cushion and away for the head for extra comfort. The bottom foam layer is firmer foam springs that provide proper support for a neutral spine position. The Mediflow Waterbase can be adjusted to customize the level of support and responds to head movement as you sleep to maintain support in any sleeping position. 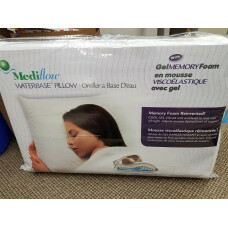 The new Mediflow® Gel Memory Foam waterbase® pillow outperforms regular memory foam pillows because it is softer, cooler, and fully adjustable. The extra soft top layer of the foam cushion is cool gel infused and then ventilated to allow air to circulate completely through the foam cushion and away for the head for extra comfort. The bottom foam layer is firmer foam springs that provide proper support for a neutral spine position. 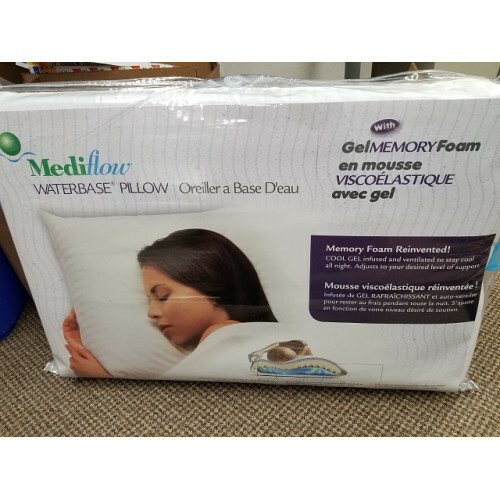 The Mediflow Waterbase can be adjusted to customize the level of support and responds to head movement as you sleep to maintain support in any sleeping position.